As of today (Nov. 29) singer Stevie Wonder has reportedly pulled out of performing at a fundraiser for the Israeli Defense Force set for December 6. Wonder’s representatives deluged by emails from from Change,org claims that he did not know the nature of the group, the Friends of the Israel Defense Forces, and that he believes such a performance would be incongruent with his status as a U.N. “Messenger of Peace,” according to a source who has read email exchanges between Wonder and the organizers. We call on Stevie Wonder, as a conscientious American advocate for human rights and dignity not to support the Israeli Defense Force by performing at their gala fundraiser. In the face of over 60 years of Israeli colonization of Palestinian land and the disenfranchisement of the Palestinian people and in the wake of Israel’s latest violent aggression against the Palestinians in the Gaza Strip– we ask you NOT to support the IDF. The IDF is an institution which promotes, enables, and protects Israel’s Apartheid regime. The US Campaign to End the Israeli Occupation http://http://www.endtheoccupation.org/section.php?id=422 cheekily asked Wonder Don’t Be a Part-Time Lover of Justice! Many of us remember in the dark days of the campaigb to end South African apartheid Ray Charles chose to take the money and run. Given the nature and ubiquity of the internet artists can no loger hide.They will be legitimately called out as jazz pianist Chick Corea was. JAzz FM’s CEO Ross Porter was challenged as well when he went to Israel on a jazz junket. We are a group of Israeli citizens, who have the utmost respect for your musical and humanitarian contributions to our world. We were quite surprised, even shocked, to learn of your upcoming performance for Friends of the IDF (FIDF). We would like to share our concerns with you, and urge you to reconsider your acceptance of the FIDF invitation. Many artists today (Elvis Costello, Carlos Santana etc) are getting the message that jsutice and the IDF can not co-exist. Toronto has become the laughing stock of Canada over the undue chaos at City Hall caused by the mayor Rob Ford. Politicos like Ford are always with us. A man very limited in ability, full of hubris as to his talents, at best a decent ward healer with good constituent skills, was suddenly catapulted to mayor. A train wreck waiting to happen, a one-note Charley with no vision, a scion of privilege, personally wealthy with the typical arrogance of those who inherit wealth,Ford was totally out of his depth as mayor of a big metropolitan area.The job today is enormously complicated and poor Ford was absolutely incapable of mastering its complexities.His educational background was nil. His ego was boundless. His pathetic mantra “Gravy train, gravy train” was proven to be non-existent.It takes money and good taxes to run a huge city and here’s where the problem lies. Ford and his equally obtuse brother Doug, have little understanding of these things. They are basically Anti-tax Republicans, very right-wing Tories. That’s fine. They should have been consigned to the very margins of political life. But America has come north and the Fords are the worst example of simplistic thinking and reflexive anti-taxation. I blame the dozey electorate for falling for their simple anti-tax mantras. Imagine a city like Toronto catapulting to mayor a Ford who sat with his earphones on as a councillor, listening to God knows what, chomping at the bit to get oput to footnball practice. His brother was worse. He ridiculed “liberries”, had no compassion or understanding of working people living on the margins in Toronto.I fould this out first hand when appearing before a city council committee on wages paid to cleaners. Two of these wonderful people preceded me in their submissions.They were scraping by on $19.00 an hour and Doug Ford dissed them by saying their work was not worth this wage. I argued for the Catholic position of a Living Wage. The Fords lost this battle. Compassion and fairness prevailed. The sons of privlege however showed their true colours. But people in the burbs who watch Fox News and way too much TV and who do not follow city politics suddenly chafed at having to pay $70 or so for motor vehicle licenses. Made ill by the anti-tax virus emanating from the US, they vote for this very sad, inept man. The warnings were always there—his obesity, drunkenness in public places etc,his foul mouth, his awful record at City Hall. He ignored most proceedings and generally get outvoted 30-1 . In short he was a right wing crank with little credibility among peers. No matter.”Gravy train, gravy train” won out. the suckers bought it and we all pay the price for people unwilling to do due diligence. He made former mayor Mel Lastman appear like a great statesman. And finally, what kind of leadership in the Catholic school Don Bosco do we see? Who would hire this ranter to coach their impressionable kids? His Republican attitudes are way out of synch with those of Catholic education. We have become the laughing stock of Canada because too many people either don’t pay attention or don’t understand the necessity of paying for the running of a first-class city. Those people are the scum of the earth” Mike railed at me this morning in the shower room. Apparently they have now reached a non-human status in poor Mike’s eyes. A secular Jew, Mike is not too dissimilar to many I meet in the Toronto diaspora. Never having been to Gaza or the West Bank, his tribalism erupts. Because of my own background among Jewish people I do understand the attachment to Israel. But one must get beyond pure emotion and enter into an intelligent sociopolitical analysis of the situation. Many are incapable of this. Israel is no longer a state with narrow interests (and terrible leadership which is dominated by militaristic thinking) but it is a mythical state like Oz. Their blinkered supporters’ responses are totally visceral and they end up as almost a paranoid psychosis. They fly off the handle and use racist terms like Mike: “Those people”. I told him I heard the same language used about Jews decades ago.The dehumanization sickened me. I heard it about blacks and latterly about Muslims. 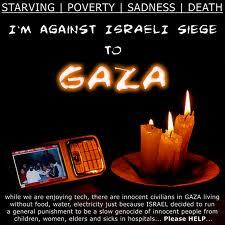 The destruction of Gaza is severe. Dozens of houses, apartments blocks and offices have been reduced to rubble. The Israeli military targeted numerous civil institutions, including a main bridge on the coastal road connecting Gaza City with the rest of the enclave, as well as several police stations, farms, the Islamic National Bank, and a sprawling government compound housing ministries that once issued identification cards, passports and other official papers. Mike doesn’t want to hear about this. 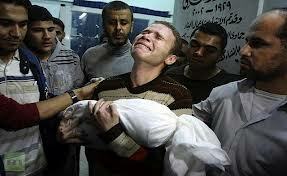 Israel is simply “defending itself”! Do Palestinians have no such rights? Dialogue is futile with people like Mike.They will not go and see for themselves the ongoing humiliation.They will not go and live in Israel either. They too are victims of powerful israeli hasbara, the sophisticated propaganda disseminated around the world and parroted by shallow people like John Baird and stephen Harper. Israelis are victims of “these awful people.” Most of the world however has understood that David has become Goliath. How infinitely sad to see common sense, historical accuracy, (all easily verifiable in an internet age) to see israeli propaganda gobbled up by the corporate press and in the highest echelons of Canadian and American governments. Israel is the victim! It’s those awful Palestinians who hate us and are shooting missiles into our country! What do you want us to do? We have a right to defend ourselves in this war! F-16, Apache helicopters, armoured vehicles, caterpillars, drones paid for by the US in contravention of international law and now missiles lobbed into a densely packed civilian populace with nowhere to go. Israel controls air space, land crossings and access to the sea. A few years ago the great Israeli journalist Amira Hass who lives in the West Bank was beside herself wringing her hands asking fellow Israelis, “Why don’t you see? This is 15 minutes away.Get off your beach chairs in Tel Aviv and watch authentic jewish values being trashed. By supporting Israel’s offensive on Gaza, Western leaders have given the Israelis carte blanche to do what they’re best at: Wallow in their sense of victimhood and ignore Palestinian suffering. When did the clock start in Gaza? Phyllis Bennis is a Fellow and the Director of the New Internationalism Project at the Institute for Policy Studies in Washington DC. A much respected academic, she is a frequent commentator on US foreign affairs. 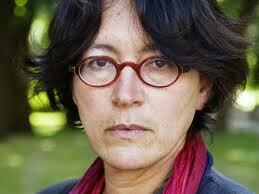 She recently put the recent disproportionate attack on Gaza in perspective. Something that the misguided president Barack Obama has failed to do.Obama amazingly—and probably for political purposes – served up the boiler plate defense of Israel’s shocking behaviour.”Israel has the right to defend itself.” Full stop. End of discussion. Then as is her want, and contrary to international law, Israel launched another targeted, extra-judicial assassination, similar to the cowardly US drone attacks in war zones. On November 14, the Israeli government attacked Gaza, killing one of Hamas’s leader of its military wing, Ahmed Jaabari who for years had also been the top negotiator with Israel for the prisoner exchange in which the Israeli soldier Ghalit was released in return for the release of over 1,000 Palestinian prisoners. This seems to be an Israeli pattern. Hamas is nearing a long term negotiation with Israel—but Israeli elections are coming. Time for the cynical Benyamin Netanyahu to scare the hell out of the people and vote for war again. Flatten whole neighbourhoods as Ariel Sharon’s son has stated. Provoke Hamas into sending their pathetic rockets into Israel, sacrifice a few israeli citizens, the majority of whom will then readily accede to a short term and absolutely counter-productive massacre of huge numbers of innocents. At present the count is 95 Palestinian dead, mostly civilians, and 850 wounded—and in Israel, ever the innocent victim, 3 dead. It is ever thus.The ratio is always at least 50-1 with Israel’s killing machine of F-16s and gunship helicopters added to devastating missile attacks on a penned up, suffering people. 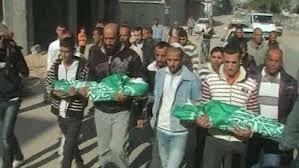 The last war on Gaza resulted in 1400 Palestinian dead and 15 Israeli. Make no mistake.Those 3 israeli citizens are “a universe unto themselves”: as former PM Levi Eshkol said about anyone killed in 1967 war. They are all someone’s father, sister, brother. But contrary to Obama’s pusillanimous statement.This catastrophe did not begin with Hamas rockets. Bennis’ wise statement which everyone needs to hear is when one wishes to understand who is responding to whom, pace Obama, it depends on when you start the clock.It is not as if that mighty war machine Hamas which has no tanks, helicopter gun ships, massive artillery and tanks all of a sudden decide on a whim to fire their notoriously unreliable rockets into Israel. This line apparently succeeds in bamboozling intelligent people and much of the corporate media.They treat this catastrophe as 2 powerful sovereign states duking it out…and of course, it’s those Hamas rockets and all papers must show an equivalence in suffering.There is no equivalence. The clock did not begin with those Palestinian rockets. It begins and remains with the drastic occupation of a constantly humiliated people who in desperation and with not much forethought respond in understandable fury at the world buying Israeli propaganda. Add to this political cowards like Obama and Canada’s PM Stephen Harper justifying such wanton slaughter. Abruptly the Canadian bishops led by Toronto’s Tom Collins and Edmonton’s Richard Smith the president of the Bishops’ Conference (CCCB) canned the well-thought out Fall Program of the Canadian Catholic Development agency, Development and Peace (CCODP). The bishops deep sixed with little consideration the long preparatory work of D and P. Many reasons were given but most insiders believe it was Collins and Smith’s proximity to the Conservative government and its policies. The D and P program, echoing felings of many Canadians, was less than enthused with our foreign policy. In a recent poll of Western leaders Stephen Harper was voted the least popular, and for many good reasons. For a full explanation of this read Yves Engler’s valuable analysis THe Ugly Canadian: Stephen Harper and Canadian Foreign Policy (Fernwood). It seems in the Canadian Catholic Church today there is not much biblical prophecy afoot. Little criticism will be tolerated by these two prelates. Smith was so thin skinned that when he was bishop in Pembroke he forbade any selling of the Catholic New Times in his diocese. One of the reasons widely believed for canning the D and P program was a quid pro quo for easing the importation of foreign priests into Canada.Weall know how syccessful this has been.Not. All is not well in the Catholic church north of the 49th. As most countries, we are hobbled by Rome imposed bishops chanting curial directives. The people are simply not listened to, much less consulted. Leave it to Father ain’t cuttng it with the faithful. Claire Doran, Director of the In-Canada program Department for Development & Peace recently penned her resignation letter and before this a real, brave smoker of a letter to Bishop Smith from Elizabth Gallant of Montreal’s Justice et Foi has suddenly appeared. We need more “plain speaking” like this. We have been dismayed in recent months by some of the decisions taken by the CCCB or by the silence that the CCCB has chosen in face of certain issues. Beyond that, the way some members of the leadership have acted disturbs us profoundly. Ultimately, the principles of ecclesiology inspired by the Second Vatican Council seem to us to be imperilled by the current orientation of the CCCB. Concretely, this is happening through serious steps backward with regard to the rich tradition of the Church’s social teaching and by a political conservatism that has nothing to do with the Gospel. This new orientation also shows a loss of willingness within the Canadian episcopacy to exercise its responsibility to denounce the political choices that harm the dignity and rights of people. There is also a loss of will to bring about a more just society in solidarity — whatever the political party in power. Finally, these actions reveal an official Church that is less and less interested in working together with organizations and social movements concerned about social justice. And so we take note that no letter denouncing the many policies of the current government that attack human dignity and social justice has been made public for quite a long time, whether through your Justice and Peace Commission or through your executive. Nevertheless, there is no lack of issues! You have, instead, preferred to denounce the policies of foreign governments. 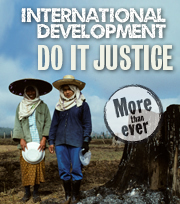 While that is certainly justified, it puts the spotlight even more on your silence with regard to Canadian policies. Even more, for some time now we note the repeated absence of the CCCB as signatory to important collective texts that were submitted to you (the appeal on climate change, the intervention by the Canadian Council of Churches on the major cuts among prison chaplains, and so on). Still, other Christian Churches or other religious leaders did participate. This refusal to denounce the current political authorities has even led the executive of the CCCB to short-circuit the democratic process of Development and Peace, which is a beacon institution of the Catholic Church in Canada. By reorienting the Fall campaign and by unilaterally supressing the action (the postcards) proposed to faithful citizens by which they would challenge the federal government on the new and inacceptable orientations of Canadian international aid, you seem to put the preservation of your “good relations” with the Conservative government above any other consideration. It is perhaps this attitude that explains your highly questionable choice to welcome Minister Jason Kenney to a closed-door meeting during the recent plenary assembly of the bishops. We have already sent you a letter expressing our disagreement with this decision and with the culture of secrecy that surrounds it. (We have not, by the way, received any recognition of that letter.) So it is that we continue to note that your positions with regard to Canadian policies on immigration do not always seem to be clear and transparent. During this same period, the Harper government continues to contribute to the weakening of the status of the most vulnerable immigrants. The most recent announcement in that list is the introduction of permanent temporary residence. This is a move that will have serious consequences. especially for the more disadvantaged women. Finally, we have just learned, to our stupefaction, that the position of principal advisor on questions of social justice has been abolished. As you know, this principal advisor was precisely the person who allowed the bishops to be well-informed regarding issues related to justice, solidarity and peace. He represented the bishops at gatherings of other Churches and organizations with regard to dossiers that made it possible to keep the social commitment of the Church up to date and incarnated. He was also the person who undertook the research and writing necessary for your public positions on matters of a social character. The elimination of this position has been justified for economic considerations. It is nevertheless difficult for us to not see, in this decision, an additional proof of the regrettable orientations that we deplore in this letter. The real war was tragic and ironic beyond the power of any literary or philosophic analysis to suggest, but in unbombed America especially, the meaning of the war seemed inaccessible. Thus, as experience, the suffering was wasted. The same tricks of publicity and advertising might have succeeded in sweetening the actualities of Vietnam if television and a vigorous, uncensored, moral journalism hadn’t been brought to bear. Because the Second World War was fought against palpable evil, and thus was a sort of moral triumph, we have been reluctant to probe very deeply into its murderous requirements. America has not yet understood what the war was like and thus has been unable to use such understanding to reinterpret and redefine the national reality and to arrive at something like public maturity. At 20 years of age Fussell found himself in France. Just across the channel and arriving in the dead of night this spoiled scion of a California family lay down to sleep. When he awoke he discovered the dead bodies of Germans his own age all around him. This is what war is like.These are the murderous requirements. America with leaders like Cheney and Bush totally ignored this. 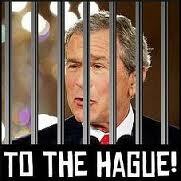 the pathetic Bush saw himself as a “War time” president. Only brave souls like Michael Moore called him on it. America with no stomach for ground combat now sends murderous drones into Pakistan killing innocents. War still seems to be a grand chess game without real people.The human bodies sent to do the dirty work in places like Iraq and Afghanistan were poor whites, blacks with few other employment options, natives on reserves with no hope of employment, bored teenagers raised on Randolph Scott and John Wayne movies, cartoons like Rambo (made by the war shirker Sylvester Stallone). 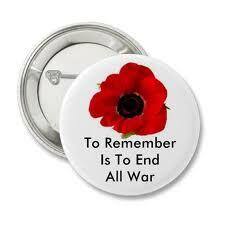 To remember is to end all wars. Thanks to the CBC for rescuing Remembrance Day from sentimental treacle. Michael Enright had a great conversation with Pat Barker whose novels treat the reality of shell shock and its treatment after “the Great War”. n the afternoon Eleanor Wachtel had a repeat interview with the late Paul Fussell the author of the Great War and Modern Memory.This great book looks at the responses of sensitive writers to the horrors of trench warfare in WW 1 through the lenses of Blunden, Graves, Owen and Sassoon. The author traces the beginnings of the ennui that pervaded the post war period, the death of Victorian concepts like honour and gallantry—all shattered in the rat-infested trenches of France and Belgium. When we look at the post-war period we see people flipping their lids, letting it all hang our in the Jazz Age. The French called it la generation perdue-the lost generation. The broad culture had lost its moorings. Hemingway’s For Whom the Bell Tolls and Erich Maria Remarque’s All Quiet on the Western Front are the great books of the period. One can never understand the 20th century without looking at the residue of the Great War.It marked a caesura in history, a radical break with the past. It put an end to the naive optimism that Progress was surely coming. It was “excelsior”—onward and upward. NO! The shocking reality of sin, murder and mayhem brought theology back to earth, paved the way for the Niebuhrs and their accent on a more realistic Christanity. The War of course had profound effects on religion. People remembered the role of the church. especially the Church of England , the awful cheerleading of the churches, leading youth into the trenches. It was a great warning about bringing the flag and the cross together. And a reminder that Christianity and militarism can never be married. Maybe it was too much to ask the Corp to deal with the awful militarization of our foreign policy. 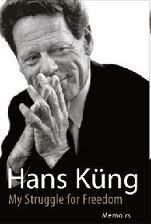 On October 5,2012 Hans Küng wrote an an oped in the U.K. Guardian in which he encouraged the Catholic faithful to stand up to their increasingly docile and out of touch hierarchy. The latest public spat in Ireland where the already bruised hierarchy shockingly refused to meet with the Association of Irish Priests is symptomatic of the increasing tension in the church. Kung is appealing to priests and churchgoers to confront the Catholic hierarchy, which he says is “corrupt, lacking credibility and apathetic to the real concerns of the church’s members.’ He is not far wrong. The world-renowned theologian went so far to liken the “unconditional obedience” demanded of the clergy to the pathological extreme of German generals fealty to Hitler..
Kung spoke the truth when he wrote of the conscience-destroying demand of the Vatican for absolute fealty to Rome on issues of birth control and the ordination of women, both debatable subjects. Birth control literally is a “Docens non receptus”, a teaching rejected by those who administer the sacrament of matrimony to each other. Clerical Institutional leadership today is at an all time low, a direct result of “grey men” appointed by John Paul ll. The worst part of his pontificate was his monochromatic choice of bishops, a group of one-note Charlies who increasingly appeared like lap dogs to Rome. Even today almost none of them are seriously listening to the Spirit roiling in those they have sworn to serve. This servility to Rome is well known. Too many are suffering from “scarlet fever” the desire for position and influence in an structure akin to a militaristic, stratified society so very far from the Vatican ll language of communio, dialogue and service. I have known men who had the integrity to say “No thanks, I have to live with myself”. One bishop who quit in disgust at the peak of his powers said it was unbelievable the full court press put on him to conform. Priests have told me that it is difficult for them to stand up, even though one of the reasons often given for celibacy was that it freed men to speak as they had no family to worry about. I have never seen much of the prophetic in all my years as a Catholic. These same priests have told me that it is hard for them in mid-life to speak out as it is difficult to reinvent themselves when exiled from the community.Where do they go? How will they support themselves? One can sympathize with these existential questions. The tension is becoming palpable. 50 years after Vatican ll the principled resistance is heating up. Millions of the laity have left in disgust and the clerics are beginning to stiffen their backbones.They are gaining voice. They are organizing themselves all over Europe and in many North American dioceses. Vatican ll is just beginning.